Seishi Yokomizo was one of Japan's most celebrated mystery novelists and his series-detective, Kosuke Kindaichi, is as iconic a figure in the East as Sherlock Holmes is in the West. Kosuke Kindaichi is described as a less-than-impressive character in his mid-thirties with an unruly mop of hair and wearing an unfashionable serge kimono and wide-legged, pleated hakama trousers – which are both very wrinkled and worn. He has "a slight tendency to stutter" and a habit "to scratch his tousle-haired head with frightful vigor," but also possesses a remarkable "faculty for reasoning and deduction." A talent he puts to use as an unassuming private investigator. Kindaichi first appeared on the scene in Honjin satsujin jiken (The Daimyou's Inn Murder Case, 1946), "a locked room tale about a bride and bridegroom found brutally slain in a snow-bound annex," which was praised by Edogawa Rampo as "the first novel of reasoning in the Anglo-American style in the world of Japanese detective fiction." This is not very surprising since Yokomizo was heavily influenced by John Dickson Carr and Roger Scarlett's Murder Among the Angells (1932). A mystery novel known in Japan as Enjeruke no satsujin (The Murder of the Angell Clan). Frustratingly, The Daimyou's Inn Murder Case has yet to be translated into English and there are, as of now, no concrete plans to remedy this gross oversight. 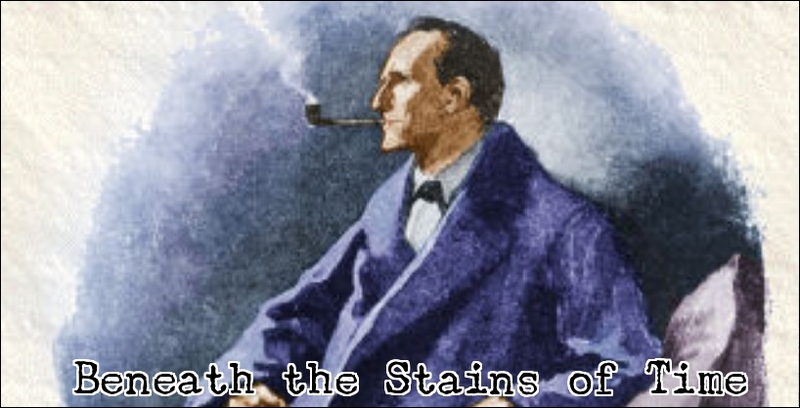 Even John Pugmire, of Locked Room International, hasn't glanced in the direction of this reputed classic of the impossible crime story. There is, however, one of Yokomizo's most famed detective novels that did made it to our shores, namely Inugamike no ichizoku (The Inugami Clan, 1951), which is "a Gothic tale of murder" with a status and prestige in Japan akin to that of Conan Doyle's The Hound of the Baskervilles (1902) and Agatha Christie's And Then There Were None (1939) in the West – a well-deserved reputation. 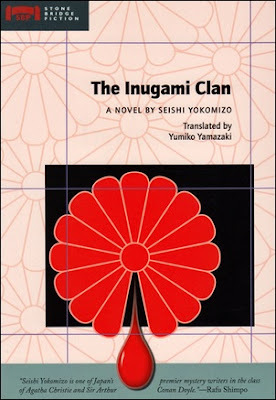 The Inugami Clan is a monumental novel revolving around the warring branches of the titular clan over the inheritance of the dead family patriarch, which brims with long-held family secrets, resentment and a series of grotesque murders steeped in symbolism. I read The Inugami Clan all the way back in 2006 or 2007 and wanted to see if this landmark novel of Japanese detective story held up to re-reading. Well, it absolutely did. First of all, I need to point out something I overlooked on my first read, or failed to remember, which is that the story (especially the opening) has hints of the HIBK (Had-I-But-Known) school of detective fiction. The omniscient narrator ends the first chapter by telling the reader that, in hindsight, the death of the head of the family "set in motion the blood-soaked series of events that later befell the Inugami clan" or, when Kindaichi rescues one of the principal characters from a sinking boat, that this was "the first event that disrupted his investigation" – effectively preventing him from solving "the case much earlier than he did." This style is closely associated with female mystery and suspense writers, like Mary Roberts Rinehart, Dorothy Cameron Disney and Anita Blackmon, but you sometimes see it crop up in the work of male writers (e.g. Baynard Kendrick's Blood on Lake Louisa, 1934). The tragedy begins with the passing of "the so-called Silk King of Japan," Sahei Inugami, whose life story was a rags-to-riches and began when, as a 17-year-old pauper, he arrived at the Nasu Shrine on the shores of Lake Nasu. Sahei would have certainly starved or frozen to death had it not been for the generosity of the priest, Daini Nonomiya, which is when fortune finally began to smile on Sahei and he felt he owed the priest a lifelong debt. However, as the omniscient narrator reminds us, everything, even gratitude, has a limit that should not be exceeded and Sahei's excessive gratitude towards the Nonomiya family would "embroil his own kin in a series of bloody murders after his death." During his long, successful life, Sahei sired three daughters, Matsuko, Takeko and Umeko, by three different mistresses, but never married any of them and never showed any affection to his daughters – which he reserved for the granddaughter of the Nasu Shrine priest, Tamayo Nonomiya. A beautiful, 26-year-old woman who had been brought up in the Inugami household and would come to play a principle role in the murders. A role given to her by a devilishly worded will. Several weeks pass before the will can be read, because Sahei instructed to wait until one of his grandsons, Kiyo, returned home from the front in Burma, South-East Asia, but was disfigured in battle and has to wear a rubber mask. Something else that obviously will come to play a role in the subsequent events at the lakeside villa of the Inugami clan. But when the will is finally read, it hits the entire family like a bombshell. Sahei bequeathed the three heirlooms of the family, the ax, zither and chrysanthemum, which "signify the right to inherit," to the granddaughter of the priest, Tamayo. One of the many conditions in the will is that Tamayo has to marry one of Sahei's three grandsons, Kiyo, Také or Tomo, within three months of the date of the reading of the will. She is only released from this condition if all three grandsons refuse to marry her or die before the three months are up. There are more conditions attached to the will and one of these conditions would give an apparent illegitimate son, Shizuma Aonuma, a slice of the estate. And this does not sit very well with the family. Particularly with the three daughters of Sahei. So here you have a household as troubled, and strained, as that of Henry VIII of England and we all know how that story played out after the king passed away. This story is no different. Toyoichiro Wakabayashi of the Furudate Law Office in Nasu can see the writing on the wall and summons a private detective, Kosuke Kindaichi, but, before he can tell his story, he's poisoned in Kindaichi's hotel room when the detective was out on the lake saving Tamayo from drowning – one of the most recent attempts on her live. All of this is still only the prelude to what's about to happen at the lakeside villa. After a hundred pages, Kindaichi is summoned to the village and ushered into a chrysanthemum garden, tucked away within a European and Japanese style gardens, where a row of handmade chrysanthemum dolls stood that represented a scene from a well-known kabuki play about a legendary hero of medieval Japan. The heads of one those dolls was replaced with the severed head of Také! A scene as gruesome as it is memorable and an obvious reference to one of the family heirlooms. So there are more murders to be expected and the last one is particular memorable as the victim is found, upside down, with his legs sticking out of the frozen lake. I believe this scene is still regularly parodied in Japanese detective stories, but our resident expert, Ho-Ling Wong, could probably tell more about that. The Inugami Clan is an intricately structured, richly detailed detective story with a plot succeeding admirably in being incredibly complex and deadly simple at the same time. You can probably deduce the identity of the murderer and what possessed this character to commit a series of horrific murders, but the cussedness of all things general and the cross-purposes of several closely connected characters do their damnedest obscuring the truth – every move, or countermove, undertaken by these characters are properly motivated and believable. This actually reminded me very strongly of Christianna Brand's splendid London Particular (1952). So these characters and their very human, understandable motives gave the plot of The Inugami Clan a warm, human and, above all, a tragic touch that makes it so much more than a mere game of chess. Throw in a truly iconic detective character, bizarre clues and a string of grotesque murders, dripping with blood and symbolism, and you get one for the ages. A classic mystery that will not fail to satisfy the most fervent readers of the traditional, plot-oriented detective story, but the numerous references to the, as of yet, untranslated cases of Kosuke Kindaichi can be experienced as frustrating. I pray this will be remedied in the coming years, but, until then, read (or re-read) this richly plotted, well-characterized and beautifully written gem from the land of the rising sun. On a final, semi-related note, I wanted to return to Christopher Bush for my next read, but might slip in a review of a detective manga with a link to Yokomizo's Kosuke Kindaichi. that there's a Greek version of this available. I'll pick it up when I next visit in the Summer. I saw some months back a film adaptation staring grandpa Kindaichi "The Devil's Ballad" which was really well made and enjoyable to watch. I did try to locate other films of the franchise(including the one for the Inugami Clan) but I didn't have enough luck. Has the English translation descended into obscurity again? I bought the Stone Bridge edition when it first came out, in 2007, which was preceded by another translation in 2002 or 2003. So secondhand copies of these English editions should not be too difficult to get a hold of. Unless they jacked up the price. Just checked. They jacked up the price and are asking hundreds of dollars for some of these English editions. Ridiculous. So, yes, go with the Greek edition, Yannis. There is one copy for $12 (free postage) available on Abe Books. Trivia: Sahei's three grandsons are actually called Sukekiyo, Suketake and Suketomo. Their names are shortened in the English translation. The 1976 movie adaptation by ICHIKAWA Kon was a true landmark in Japanese movie history, and thanks to the book Honkaku Mystery Manga Seminar I mentioned earlier, I learned that it was actually manga that was the cause of the 1970s "Yokomizo Boom". A manga adaptation of Yokomizo's Yatsu Haka Mura (The Village of Eight Graves) and other of his novels became so popular that publisher Kadokawa decided to print paperback releases of Yokomizo's work in the early 70s, which turned out to be fantastic hits, giving Yokomizo a much wider audience than he ever had before. When Kadokawa set-up Kadokawa Pictures, it was decided that the movie adaptation of The Inugami Clan would be their very first work. It turned out to be a big hit, and Kadokawa Pictures is still one of the four largest film studios in Japan. The film is considered a classic, with indeed Sukekiyo's appearance, as well as the leg-thing, popular memes in the world of Japanese mystery fans. There's a 2006 remake by the same director, starring the same lead actor, and several other TV adaptations too of this novel. So a "Yokomizo Boom" in the seventies preceded the rise of the neo-orthodox movement in the 1980s? Now that's interesting. Does the book mention a link between the two periods, because it would make sense if shin honkaku came after a era of rediscovery. Yes, I hope something similar happens in the West after our current renaissance era. Don't let us down, 2020s! It was specifically a Yokomizo Boom, not a sudden interest in classic mystery fiction in general. Yokomizo's mix of horror and mystery was what really caught on, as well as the distinct, "nostalgic" world view in his works. It was also horror what really exploded as a manga genre in the seventies and eighties. Oh, it happens that it was also announced today that a new TV special based on a Kindaichi novel would be produced this year (Akuma ga Kitarite Fue wo Fuku/The Devil Comes Playing The Flute). Yokomizo's popularity is really amazing, as we already had an excellent one last year based on another novel, but the demand for these things have remained on Japanese TV ever since the Yokomizo boom. Well, we (sort of) have a whiff of nostalgia going on with the current crop of reissues, but I think we need more Fredric Brown and John Dickson Carr for the horror elements. We can work on that. I have wanted to watch one of these (subbed) Yokomizo's movies for a while, like The Daimyou's Inn Murder Case, but prefer to read them first. And who knows when another one of them will appear in English. This was great to read your assessment, TomCat. This is probably my favorite Japanese detective novel of all time. So much works so well, it's surreally creepy and evocative and imaginative and, as you mentioned, contains many iconic scenes and images that have influenced other Japanese mystery writers. It is the book to which I compare all honkaku and similar Japanese detective novels. For me nothing (in English translation, at least) has ever surpassed it -- not even The Tokyo Zodiac Murders which prior to reading The Inugami Clan had been my favorite. My blog post on The Inugami Clan has nearly 4000 hits, it's in the Top Ten list of most read essays at Pretty Sinister Books, though I believe its popularity is largely due to my use of photo stills from the movie. By the way, have you read any of the Japanese mysteries published by LRI? I attempted to read MOAI ISLAND PUZZLE but it was bothered by its juvenile worldview and paper thin characters so much that I gave up and never finished it. Much of the language was very stilted and awkward making it doubly irritating. Overall, it read like fan fiction to me. I really hated what little I read -- right up to the discovery of the first two bodies. I've not had much luck with the LRI books I've chosen to read. I completely overlooked your second comment. Anyway, I'm tempted to recommend The Decagon House Murders, but you'll probably like it about as much as The Moai Island Puzzle. So just go with The Realm of the Impossible. You can't possibly hate 500 pages of locked room goodness gathered from every corner of our planet. This sounds fascinating and I will keep an eye out for a copy either through interlibrary loan or if prices fall for some of those secondhand copies. This one is well worth your time and effort of hunting down an (affordable) copy. And one of the previous comments mentioned that a cheap one is available on Abe Books. So you better be quick or Yannis might beat you to it. Like I said, I think I'll be picking the Greek version of this one. We need to support our local schene to release more of that and less of the thriller genre. It's why I've been resisting to buy The Fourth Door by Halter(and it's tough cause I've read all his other good ones). Honestly this sounds pretty fantastic for what it is. Guess I'll add it to the list of things to hunt down. I've always wanted to read a real _ _ _ _ _ _ _ _ _ story anyways. TomCat are you & Holing Staffs of Locked room International.You mention them quite often in your reviews.And have you met holing in person?If you have then i will ask a question. I'm not sure I understand your comment (who or what is Holing Staffs? ), but I have no (professional) connection with Locked Room International. I'm just a huge fan of impossible crime fiction and therefore naturally drawn to the only publisher exclusively specialized in publishing locked room novels and short story collections. I meant blogger Ho Ling Wong. Ah, makes sense. Ho-Ling has translated several titles for LRI and I have read them, which is the only connection between us and LRI. Why did you want to know that? I thought both of you were involved in translating Japanese Mystery Novels at LRI.But the misconception has been cleared.Thanks for your reply. Oh, boy. If I could speak and read Japanese, the content of this blog would look very, very differently. How could you possibly think that LRI hasn't glanced at The Daimyou's Inn Murder Case (which I know as the Honjin Murder case)? I've been trying to get the rights for three years, but recently lost out to another publisher, who plans to bring it out next year. I also knew it as The Honjin Murder Case, but Ho-Ling refers to it on his blog as The Daimyou's Inn Murder Case. So I went with that title. Sorry to hear you lost the bid to another publisher, but glad to learn it's still getting published in English.